Metric survey forms an essential part of the conservation cycle and provides a valuable source of base mapping for analytical projects. In supplying metric survey data to buildings curators, conservators, architects and archaeologists, surveyors need to know what makes survey work for cultural heritage. A proven specification is a valuable tool for use in achieving this goal. Getting the right survey for the right job is important. This specification provides a guide to the user and the supplier of metric survey data. It explains the services expected and performance indicators to ensure the successful management of metric survey projects. 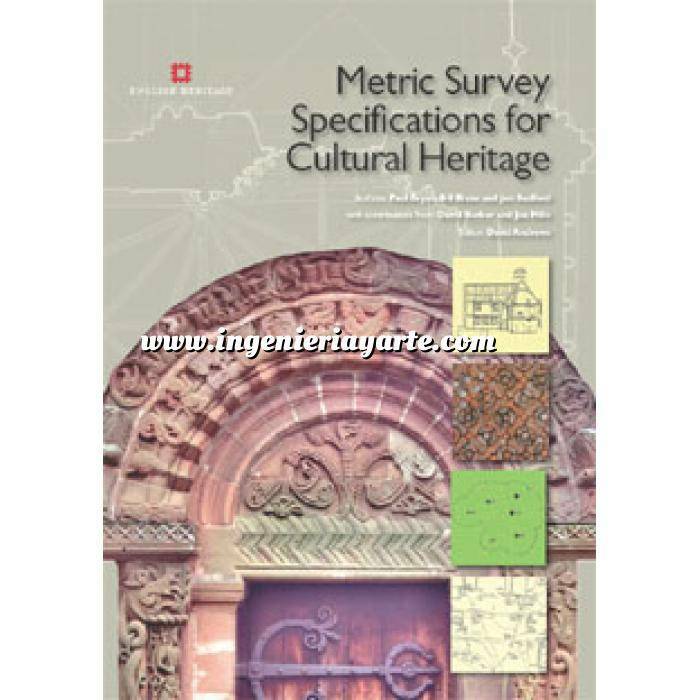 It is a revised and updated second edition of Metric Survey Specifications for English Heritage - the standard specification that English Heritage has successfully used to procure metric survey for the last nine years. The new title reflects a more generic approach that, it is hoped, will make the specifications easier to apply across the cultural heritage profession. This edition also covers the collection of terrestrial laser-scan data, which is increasingly applicable to the survey of historic buildings and landscapes.